U.S. Virgin Islands Governor Kenneth E. Mapp is heartened by the feedback received from the St. Thomas-St. John Chamber of Commerce on his administration’s plans to stimulate economic activity across the district. “The trend for larger cruise ships is a reality and working together we can find solutions which allow St. Thomas to remain competitive and provide growth opportunities,” said Governor Mapp. He and members of the Ports of the Virgin Islands team outlined ongoing dredging projects, funded through the first phase of the U.S. Department of Housing and Urban Development’s Community Development Block Grant Program (CDBG) after last year’s storms. The dredging will permit Quantum Class vessels to dock on the north side at Crown Bay and Oasis Class vessels to berth at the West Indian Company facility. The Territory’s chief executive also shared ongoing efforts to improve transportation and increase the number of U.S. Customs and Border Protection agents in the Territory as a means to expedite the inspection process and provide a smoother transit experience as the Virgin Islands prepares for more flights and visitors during the upcoming winter season. The group heard a presentation from the Virgin Islands Port Authority (VIPA) on a potential development at Crown Bay that features activities such as a biking/hiking trail from the port to Lindbergh Bay. The West Indian Company presented concepts to expand berthing capacity, while Public Works Commissioner Nelson Petty updated the group on the Veteran’s Drive improvement project, which is on schedule. Governor Mapp also noted the tourism product and experience in the district was improving thanks to strong public-private sector collaboration. He praised the contributions of the Carnival Corporation brands – Princess Cruises and Carnival Cruise Line – which have committed $800,000 towards the funding of various projects, including the Children’s Museum, the Little Libraries program, the building of a Children’s Playground (Carnival Fun Park) at Emile Griffith Park as well as $20,000 in supplies and equipment for the Charlotte Amalie High School Gymnasium. 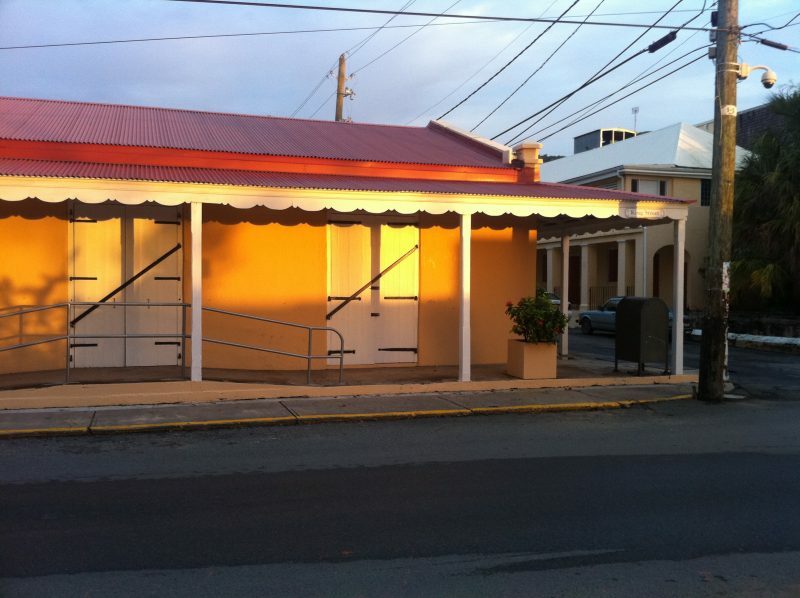 Funding for these projects is being administered by the Community Foundation of the Virgin Islands. Meanwhile, the Ports of the Virgin Islands – an alliance which includes the Department of Tourism, VIPA and WICO – remains committed to solidifying its partnership with the Florida-Caribbean Cruise Association (FCCA) and the recently formed Eastern Caribbean cruise group. Attending the meeting were Chamber of Commerce representatives Richard Berry, Vivek Daswani, Michael Creque, Filippo Cassinelli and John Woods; VIPA’s Executive Director David Mapp and Property Manager Deborah Washington; WICO’s CEO Clifford Graham; Commissioner Petty; and Commissioner of Tourism Beverly Nicholson-Doty along with Department of Tourism team members Angela Payne, Director of Visitor’s Experience, and Tanya Duran, who serves as Director of Office Operations.